My colleagues have been updating this blog fairly regularly with details of our progress with the marginalia — there’s nothing really much to add there. But with (hopefully) most of the encoding work behind us, there’s still quite a few hurdles ahead, e.g. display. With the Archive being such a collaborative, multi-university effort, we don’t have that much control over the final display of objects, or actually, much knowledge of how this is going to come about. Which is an odd situation to be in, since from Spring 2016 (and I do believe the Marginalia project has reached its anniversary, although no-one appears to have noted down the start date), we have been talking mainly in terms of what the marginalia will look like to users. How the underlining will make sense, sans the print text. Whether the drawn crosses Blake makes in the margins can be represented adequately with the letter X. If splitting the marginal comments up into different sections is visually appropriate. Even though most of the encoding work contributes very little to display, it’s very hard to get away from that model of thinking. If they’re searching for the marginalia on the page, what will the end user see? I’ve been going back to a few of the digital projects that we originally researched for ideas, to take another look at how they did it. It includes no transcription of the original text, but the image of it is front and center in the middle of a tripartite screen. Where’s the marginalia? 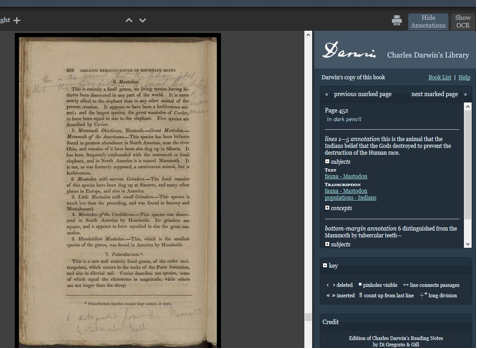 Transcribed on the right side of the screen, listed under headings such as ‘Lines 1-5 annotation’ and ‘Bottom margin annotation’. 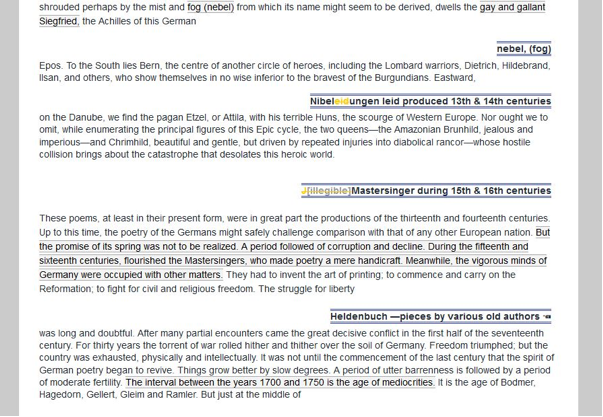 Underneath there are expandable options for tags that reference the specific content of the marginal comment. So for this project, content is more important than the spatial/visual qualities of the marginalia. The image is allowed to speak for itself, and the transcription privileges the user’s ability to categorize and cross-reference that content. 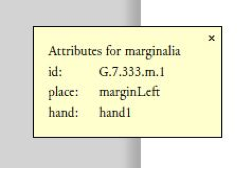 which gives you more detailed information on the scribal hand, and placement, as well as a unique ID for that marginal comment — but it’s only accessible to the user if they’re interested enough to click on it. 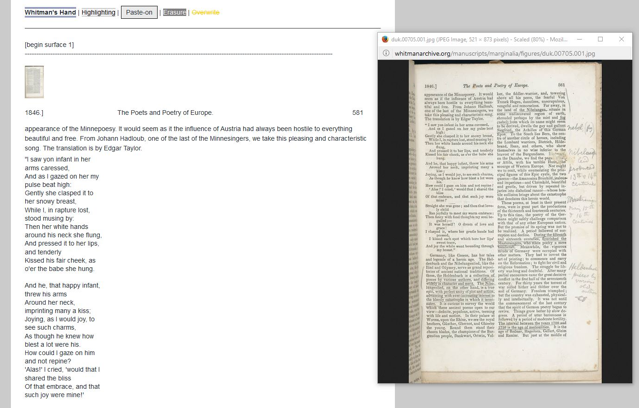 Again, the transcription is the main focus here, with the image of the original page only accessible if you bring it up in a separate window. Not making it easy to compare against the transcription (and marginalia), but useful to have both, regardless. 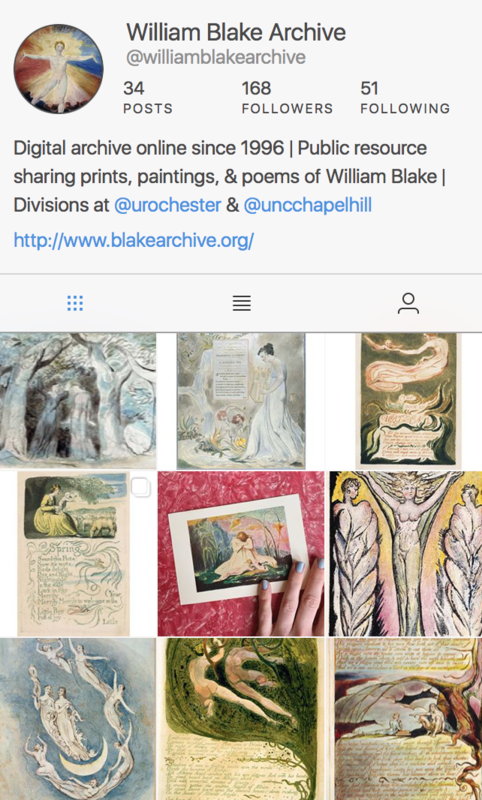 Notice the bar at the top of the page giving a key for what’s ‘In Whitman’s Hand’ or ‘Paste-On’ or ‘Highlighting’ (a little obscure, but apparently this refers to the underlined sections of text). Where’s the marginalia? 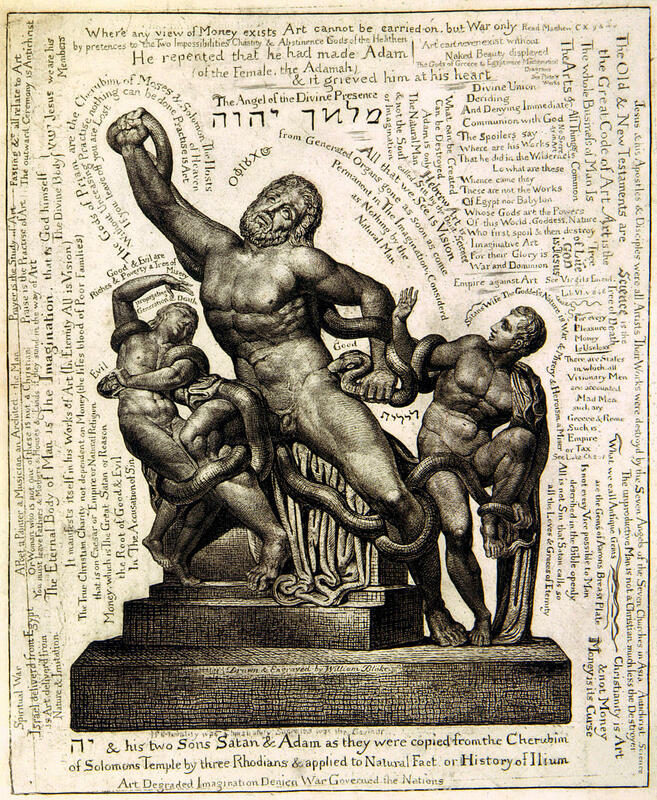 A little awkwardly positioned, the marginalia here is seen to the right of the original text, as in the image of the original page. The use of bold font and double bracketing lines, as seen in the above key, draw the user’s attention to its importance, and privilege it over the other text. Both spatial arrangement and content are made significant here, and the user can easily appreciate them both — although not in the context of the original image of the page. Somewhat different from the previous projects, as this diary is all handwritten notes, and there is no original print text to work around. 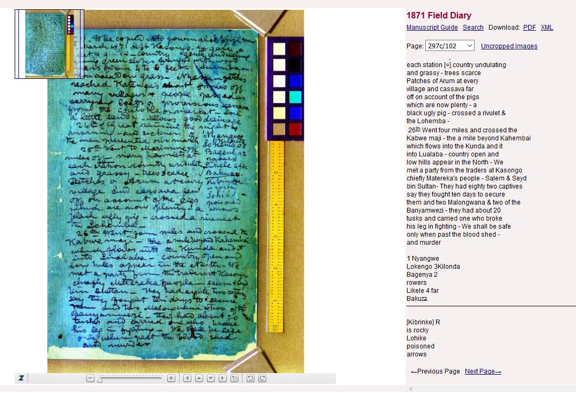 However, we still used it for research, since this diary frequently featured additional text written in the margins as an additional element to the work. Here the screen divides evenly between the image of the page and the transcription. Where’s the marginalia? Included beneath the rest of the transcribed text, despite the fact that in the original page, it’s in the middle-right corner. If you look at the TEI, the creators have used a <milestone unit=”section” rend=”line“/> to create the line dividing the main text from the marginal text, showing users that it’s meant to be read separately. Making the user aware of the spatial difference, if not representing it visually. What would we like our project to look like? I think we want our project to prioritize the visual arrangement of the marginalia, without refining too much on the content. We want it to draw the user’s attention, and let them decide how to read it in context of the text. 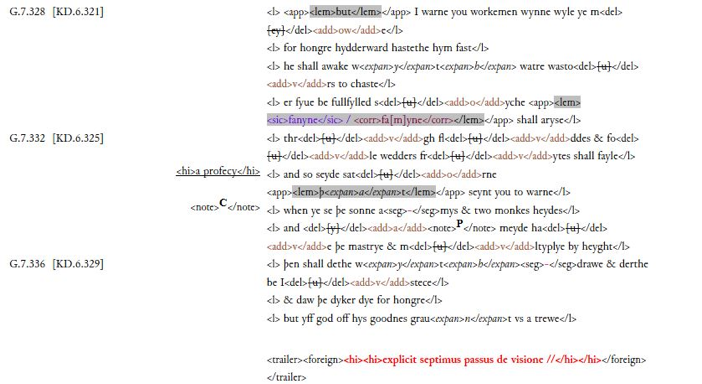 Clearly, there are a lot of options for digitally rendering marginalia, and I suppose I can only be thankful that I’m not the one responsible for actually making it happen.